On a night filled with much homework and procrastination, I was thrilled to listen to a record described as “short” and “catchy.” I’m a busy guy; I have facebook friends to stalk and World Series games to watch papers to write and math problems to solve. Well, I cannot argue with that description. 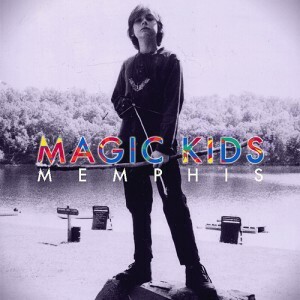 Almost an hour shorter than yesterday’s monstrosity of an “album,” Magic Kids’ Memphis is just what I needed. No, it’s not one of the most intelligent pieces of music that I’ve ever heard, but who cares? Sometimes, you need some stupid songs about college, romance, and college romances. This album is like that TV show that you keep watching well after it has jumped the shark. It’s gotten goofy, but there’s comfort to be found in the familiar characters and it doesn’t matter if the writing is unbearable and the plots are embarrassingly corny. Memphis is simple, infectious indie pop in its simplest form, and there’s nothing wrong with that. I’d rather listen to the optimistic Good to Be or upbeat Candy on repeat than most of the pretentious, faux-intelligent garbage that’s thrown my way. There’s also something to be said for the earnestness and sincerity with which Magic Kids approach their music. They’re singing about what they know, while retaining a cheery disposition—something that’s become far too uncommon with all of these bands made up of half-empty twenty-somethings. So bring on the goofy, the foolishly upbeat, and the fairly short. Tomorrow’s another day, and errthang gon’ be good, bro.